Indian-American Pri doesn’t fit in. Her immigrant mother buys her clothes second-hand at a thrift store, and her legal name (Priyanka) makes her an object of scorn among her white classmates. Having grown up in America, Pri doesn’t know much about India—but the discovery of a magical, shawl-like garment, a pashmina, changes that. After putting the pashmina around her shoulders, Pri is suddenly transported to a bright, cheerful version of India, where tour guides Kanta the elephant and Mayur the peacock introduce her to new foods and customs. Each “visit” to this fantasy version of India is more remarkable than the last—but when she finally gets the chance to travel there in real life, she learns some uncomfortable truths about her mother’s homeland—as well as some about her own family’s past. 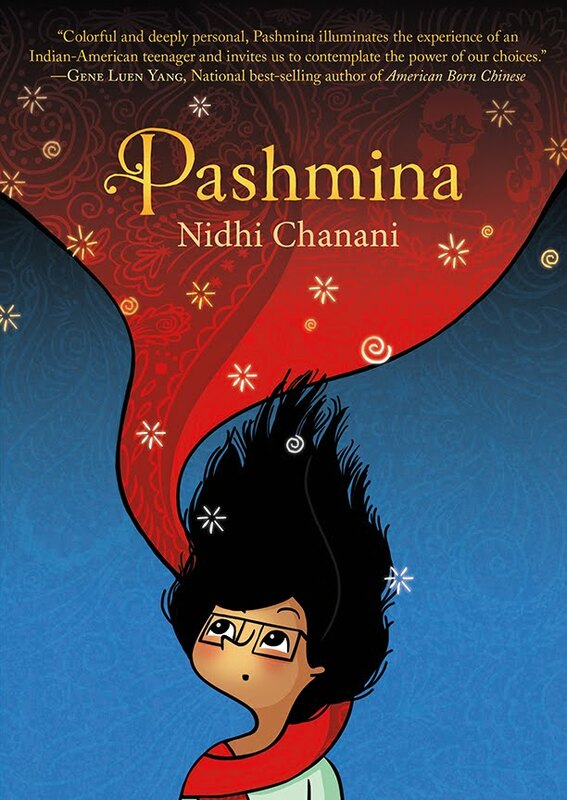 Pashmina is a welcome addition to the graphic novel format. Pri is an admirable, well-rounded protagonist, and readers will learn a lot about Indian culture through the story’s inclusion of Hindi phrases and traditional foods. One can only hope that more stories like this come our way again in the near future.